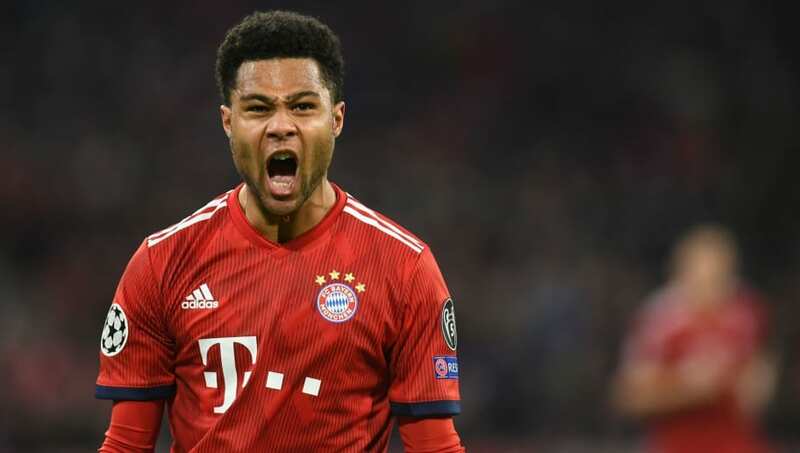 Bayern Munich and Germany winger Serge Gnabry has said he has a lot to thank Arsenal for, as he cited Arsene Wenger's willingness to give young players a chance as one of the reasons behind his breakthrough in football. Gnabry joined the Gunners' youth academy from VfB Stuttgart in 2011, and quickly graduated into the first team squad, though he only managed 18 appearances under Wenger before heading back to Germany in pursuit of game time in 2016. The 23-year-old, now a regular for both Germany and Bayern, however, told ​Bundesliga.com that his former side are an 'amazing club' and regrets nothing about his time in London. "I moved because I relished the risk," he said. "Everyone else told me not to go. "They said I wouldn’t make it, that England was too difficult, a different style of play. I thought ​Arsenal was an amazing club, Arsene Wenger was there at the time and he gave young players a chance. "They played football in a way I liked, offensive, a lot of possession. I wanted to take the risk, go there and show everyone I could make it." ​Bayern crashed out of the Champions League at the hands of ​Liverpool last month, but find themselves back in the Bundesliga title picture after some impressive domestic form, having looked all but out of it heading into Christmas. They face leaders ​Dortmund this weekend, needing a win to put them back on top - and that's an outcome Gnabry says he is hopeful of achieving. "We’re looking at the game with a positive mindset because we made up the nine points that they had on us," he said. "We’re pretty confident at the moment, they have slipped up a couple of times. "For both teams there’s a lot at stake. We want to go and show them that we want to be champions this year and beat them at home."